After two songs I escape his clutches and try the move with the teacher. No problem. I try the sequence with another man, a sweet twenty-something in a gray suit with a pink handkerchief who is trying with all the women in the room. With him the move works fluidly. Sasha Cagen is the author of the cult hit Quirkyalone: A Manifesto for Uncompromising Romantics; she’s at work on a memoir called Wet. Sasha lives in Buenos Aires where she teaches the Tango Goddess workshop to help women find empowerment through their bodies for the milonga, at the workplace and on the street, and the transformative 7-Day Tango Adventures. She uses tango as a tool in her life coaching practice. “Tango and the Feminist” utterly delighted me. I enjoyed the storytelling and the perceptive observations on tango scenes and machista biases everywhere. My congratulations to you on your self-possessed assertiveness with Ponytail Man. Don’t these guys get tired, thinking they must be in charge of everything all the time? I appreciate your point of view, and I appreciate an empowered partner, whether I’m following or leading, him, her, or them. We will always seek to express these sensibilities, they way that your Vicky Cutillo and JuanPi did for you. Thank you for taking the time and care to express these ideas so well. After reading this article, I am more determined than ever to follow my own inner voice as much as I follow my leader. If followers don’t have a voice in the dance, all this lip service about creating “connection” and “partnership” is moot. Any leader that insists we are “stifling his freedom” by contributing our own voice to the dance is either being lazy or fearful. “Just shut up and dance” is code for “It takes too much mental energy to manage my floorcraft (level 1) and musical interpretation (level 2) with your self-expression (level 3) layered on, and I can’t handle any more inputs.” Too bad! News flash: followers have to manage all 3, all the time, from the very beginning (the floor, the music, our partner). I have noticed that advanced dancers never complain about this; they invite and delight in the extra challenge. 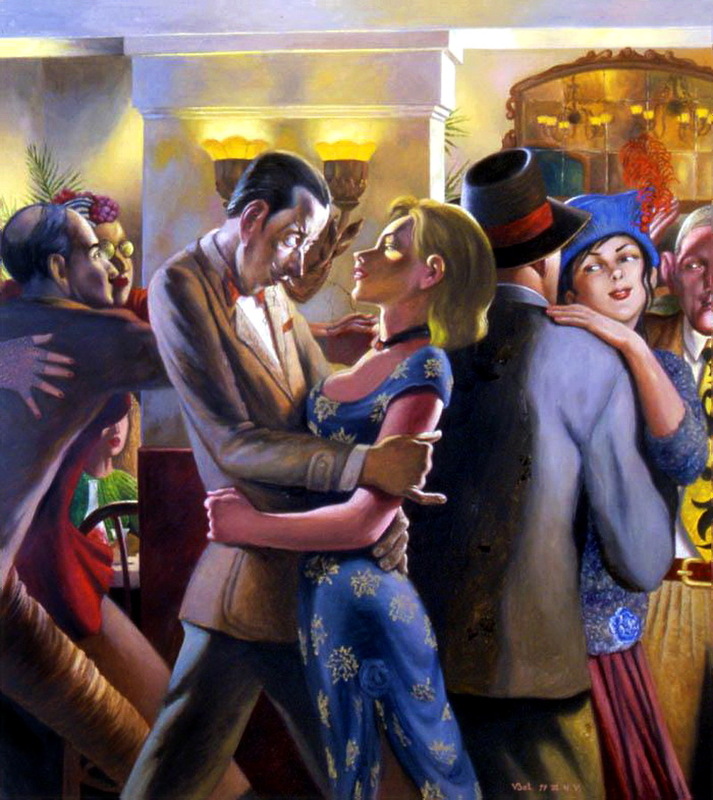 Bottom line: a leader who doesn’t welcome your expression as a follower not only doesn’t understand what tango is all about, but hasn’t graduated to that level of dance where he can handle that last and most exciting input of all… the one that makes the dance really interesting and fun… the follower’s voice! Well said! Thank you both for your comments. A unperceptive leader who fails to respond to the follower’s cues is effectively dancing alone.